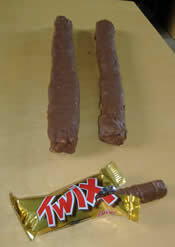 We had originally intended to pimp a Mars Delight, because we hadn’t seen it done, and a giant one would likely provide us with enough nutrition to last to the end of term without having to buy more food. 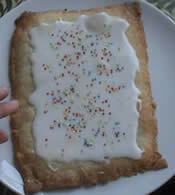 But frankly, it sounded like a bit too much effort, what with all the creamy nonsense and wafery bits. So, after being inspired (thanks Kate!) we settled on the humble teacake. We chose the ingredients on a ramble round Sainsbury’s – cheapest stuff as possible, naturally, in true student style. Note – don’t know what’s in the value jam, but at 30p and judging by the taste, I’m willing to bet it’s not fruit. 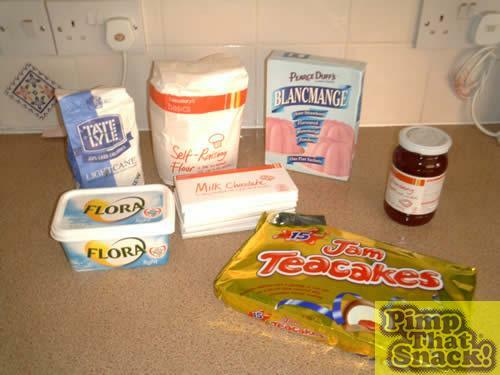 Raided the cupboards for suitable containery type things, settling on a cereal bowl for the chocolate outer shell bit, and some form of Chinese dish thing to make the blancmange middle. 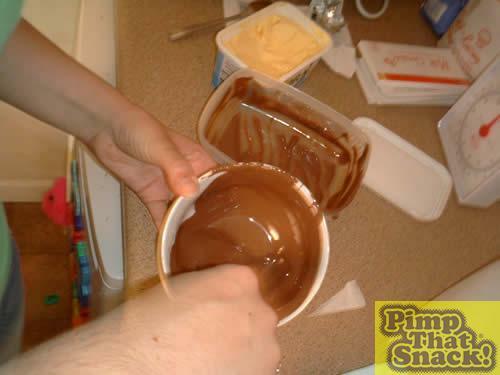 We melted the chocolate in the microwave and spread it around, then put the Chinese bowl in the hollow out the middle, which annoyingly kept trying to resurface and bob around. 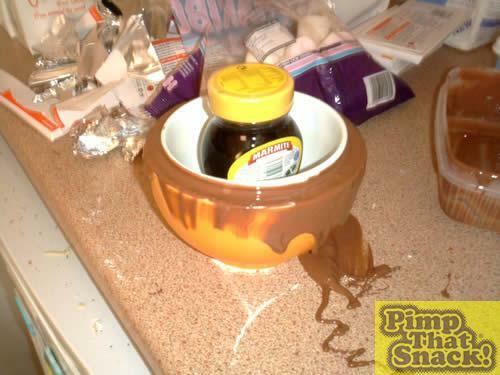 Ah Marmite, is there anything it can’t do? Into the freezer with it. 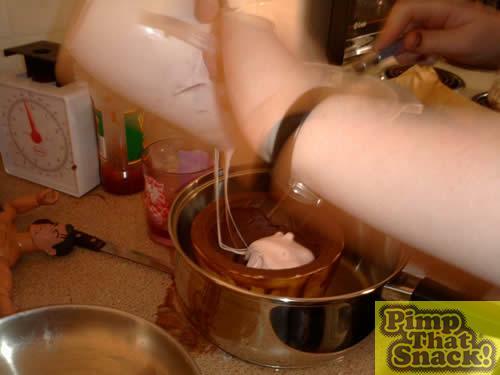 Made up the blancmange, which involved unnecessary amounts of heating milk and repeated rinsings of utensils. Unfortunately, I cannot follow simple instructions, so instead of the blancmange setting in three hours, by the next morning we still had swimmy pink soup. New plan required. Ingenious pimpers that we are, we improvised using the left over marshmallows from our BBQ. 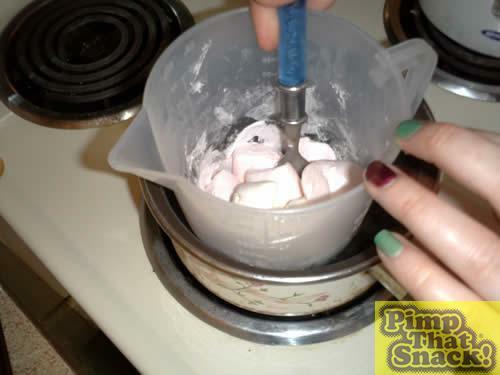 Melted marshmallows may well be the stickiest substance on the planet – it was transferred to the chocolaty shell only after it coated every surface and spoon in the kitchen. Turned out we’d eaten a few too many so had to go on an emergency trip to the corner shop for more. Only white ones left – so fancy two-tone filling it is!